Garden City Roofing Company | Garden City Roofing Quote | Garden City Roof Company | Garden City Roof QuoteMcGlinch & Sons CO.
McGlinch and Sons is a roofing company that offers high-quality artistry and takes pride in our work. We are a family owned and operated roof company who has served the communities of Southeast Detroit for over 100 years. McGlinch offers top-notch roofing services and provides our customers with excellent customer service. We specialized in all aspects of roofing, including providing our loyal customers with accurate roofing quotes. If you want the best roofing company with excellent roof quotes, you came to the right place. 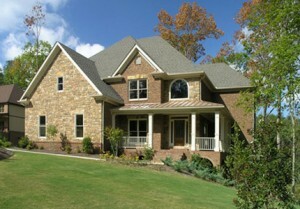 We are a certified Master Elite GAF Roofing Contractor, and we are in the top 2% of all roofing companies. Our Garden City customers can be confident that McGlinch will exceed their expectations. Garden City is a city in Wayne County, Michigan with more than 27,000 residents. Garden City is part of the Metro Detroit region and is a place where work and play come together. When Garden City clients need a fully licensed, insured, certified roof company to provide exceptional roof services, they call the best, McGlinch! Garden City residents can be self-assured that a new roof from us will add protection to their home and add beauty giving it instant curb appeal. McGlinch promises to get the job done on time and well within your budget. Get the quality customer service you deserve and a free roofing quote with competitive pricing. McGlinch has over 90 years of combined experienced and is known as an honest and dependable roof company. If you have questions, call our professional expert staff. We will provide you with a roof quote that is accurate and affordable. McGlinch is a dedicated roofing company devoted to providing quality service to our customers and outstanding roof quotes from our fully certified and licensed roofers. McGlinch offers a 25-year labor warranty on all roof replacements and a lifetime warranty on all roofing shingles. Call McGlinch and Sons at (313) 278-2777 for your free roofing quote today!